All-welded steel construction and no moving parts ensure high durability and long life. 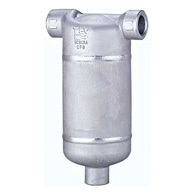 The DC7's all stainless steel construction also prevents corrosion. 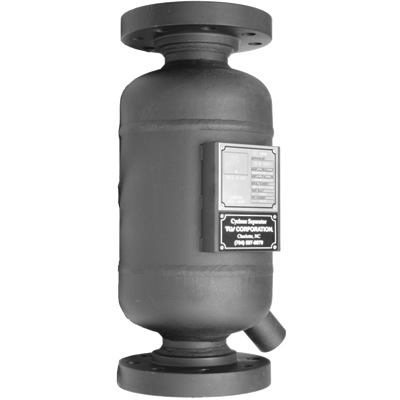 The built-in Cyclone Separator has a high separation efficiency, separating out the condensate. This yields improved productivity and product quality, due to the resulting elimination of water hammer and the improved dryness of the supplied medium. The DC7's unique SCE separator delivers high-quality steam up to 99.8% dryness. The DC Series separators range from compact and lightweight to large enough for almost any application. In addition to horizontal flow configuration, the DC-L/DC-LS/DC-LUS models feature down-flow and up-flow installation as well.